I did pretty well I felt, seeing over 150 species in a week. About half of them were completely new, and some I had not seen for years. It was particularly pleasing to get the big targets like Varied Thrush, but a shame to miss one of the western Sapsuckers and not get better views of Tufted Puffin. Never mind, you can't see them all! I'm going to use the american names, ie Loon rather than Diver. As expected I just wasn't able to get up early, but I still managed to get to Lighthouse Park which is at the northern tip of the bay the becomes Vancouver Harbour. 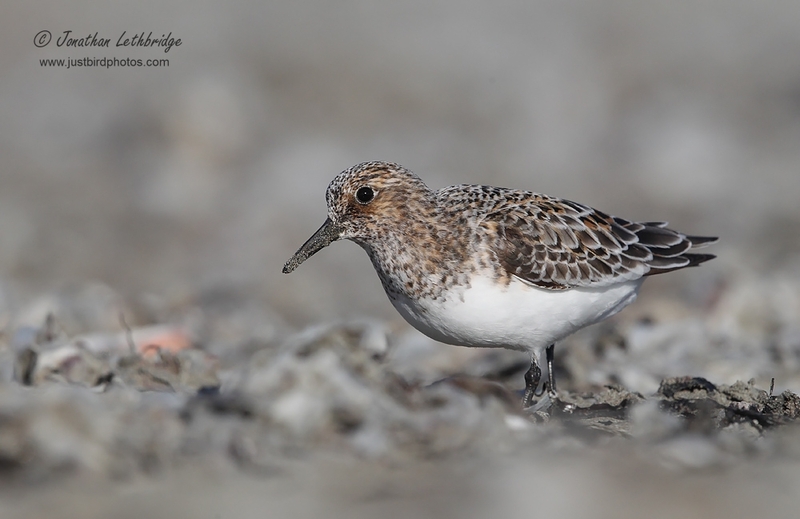 This was my final shot at Pacific Slope birding, hoping to eke out a couple more species before I had to leave in the afternoon. 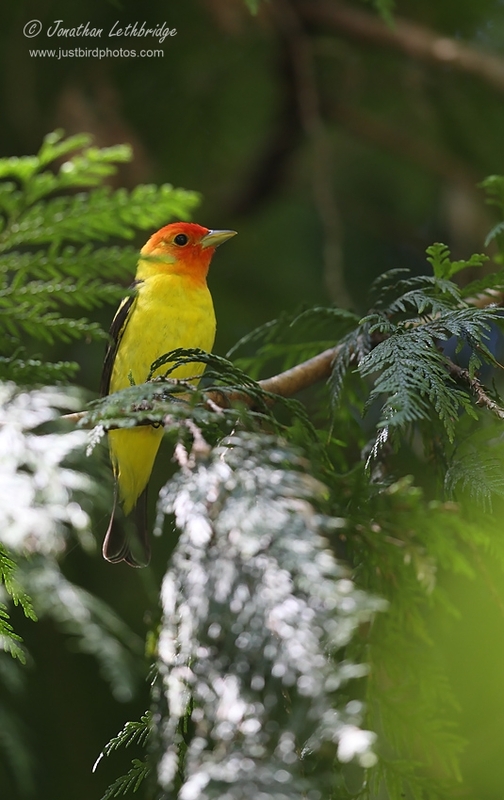 I probably arrived mid-morning, and it was already busy with walkers but I found a couple of quieter paths and was into birds immediately with Townsend's Warbler high up in the pines, and lower down Hutton's Vireo and Western Tanager, both of which responded to some urgent pishing. I enjoyed a very pleasant few hours here, with Hummers, loads of Spotted Towhee, and various other regular birds. I had one more stop before I was done, which was the Reifel reserve south of the city, and thus conveniently closer to the airport. I slogged it through downtown and back towards the US border, taking the 17A towards Ladner. It was slow going and I didn't get to the reserve until about two thirty in the afternoon. Predictably for a Sunday it was heaving (it's like a WWT reserve), and was a duoculture of lazy Mallards and Canada Geese. 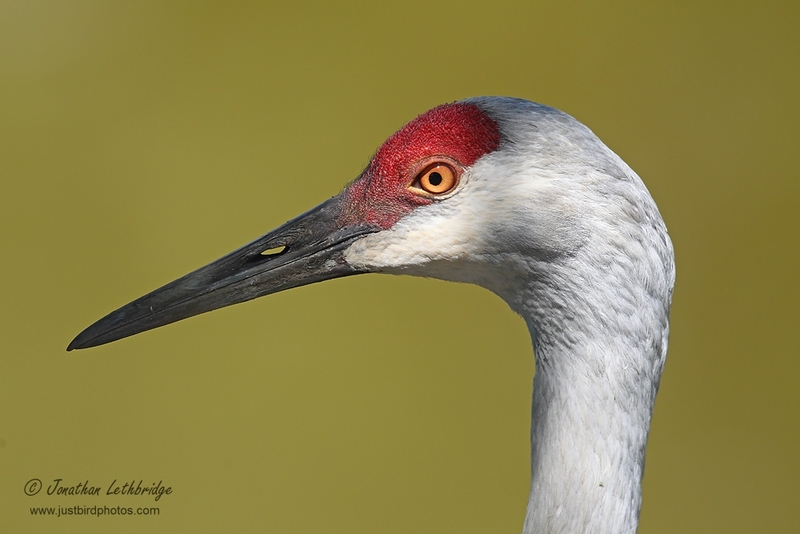 I was here for breeding Sandhill Crane though - wild birds that have decided that life on the reserve is too good to bother migrating. 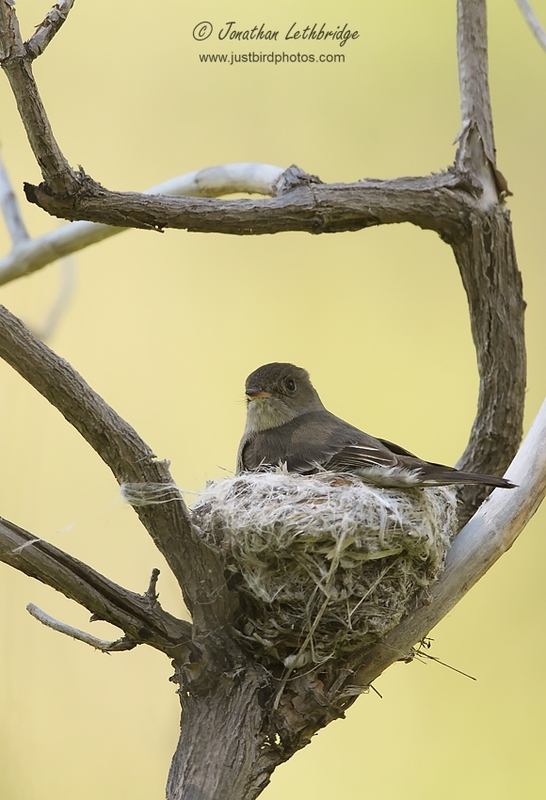 One pair is breeding, and there are half a dozen others that seem to spend the summer. I eventually found them interacting with a group of Japanese tourists, who when they saw my lens gave up on the birds and instead crowded around me. I thought Japan was where they were made?! Once I had batted them all away (including one looking down the lens whilst I was trying to use it....) I had about thirty seconds to grab a few shots and high-tail it to the car as I was now in serious danger of missing the flight. I have to say that the birds didn't feel particularly wild, highlighted by the fact that the most useful lens to have brought with me would have been my 16-35mm, but I managed to find enough space to retreat for a head shot. Made it to the airport and through security with approximately fifteen minutes to spare before the gate closed, just enough time to buy a new shirt and have a sink shower in the lounge in deference to fellow passengers. It had been an excellent trip, ending on 158 species and various other bits of wildlife. A few misses of course, but not bad for a solo effort with no guided birding and no knowledge of the avifauna of the area. This is of course exactly how I like it! Starting almost in the dark to be able to fit more in, I had another quick sortie up Swakayne Canyon, and although it was glorious once again ,I didn't pick up anything new and the Canyon Wren continued to defy me! 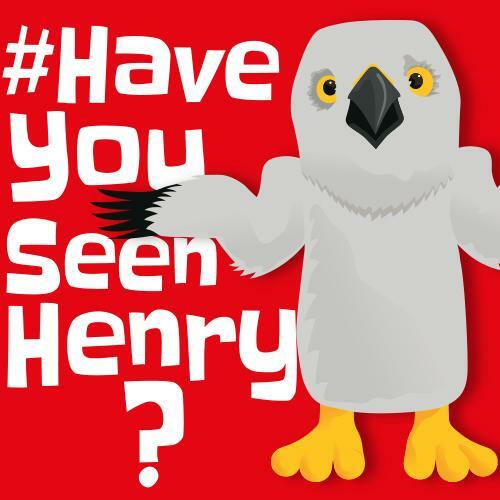 Impossible bird! I returned to Wenatchee to get some breakfast, and ate it at a rest stop on the I-28 towards Quincy. Quincy Wildlife Area, reached by exiting the freeway on stop before Quincy and heading south to connect Road T NW, was a disappointment really with massive lakes containing very little bird life. I did find a few Eastern Kingbirds, a first for the trip, and of course the fantastic Yellow-headed Blackbirds in the reeds, but I did not linger here as it just didn't seem worth it. Instead I aimed for Potholes Reservoir where I hoped to find proper numbers of waterbirds. However this too was a disappointment, with absurd numbers of recreational activities going on, mostly involving speedboats. 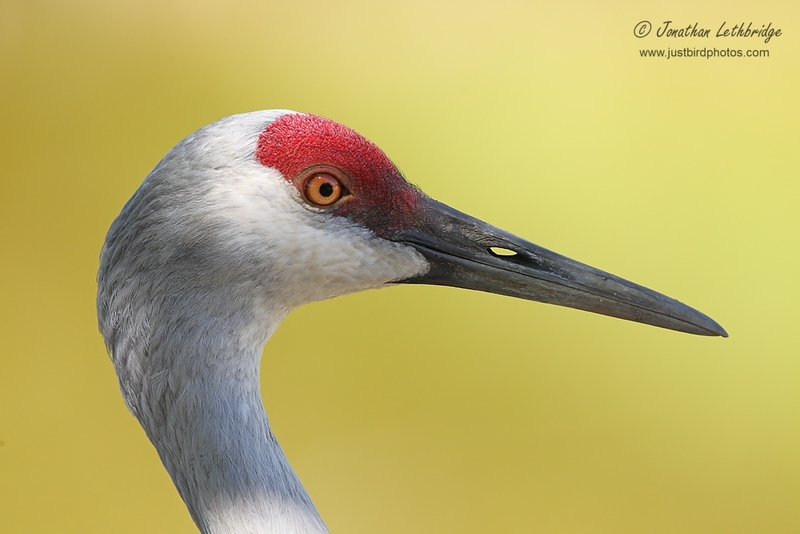 There were a few Great Egrets, and some distant Grebes that were too far away to assign to species.. 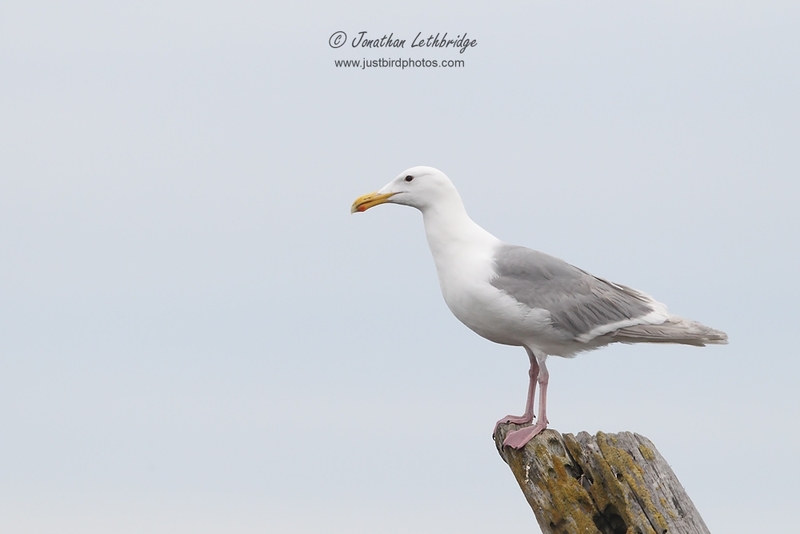 I checked out the Gull colony briefly, but my heart wasn't in it - seemed mostly Californian. The day was not going too well at this point, but I saved it at Warden Lake, a little way east, where I found a fantastic little area that held a large number of Yellow-headed Blackbirds, and a Virginia Rail almost at my feet peering up at my stupid clucking noises. 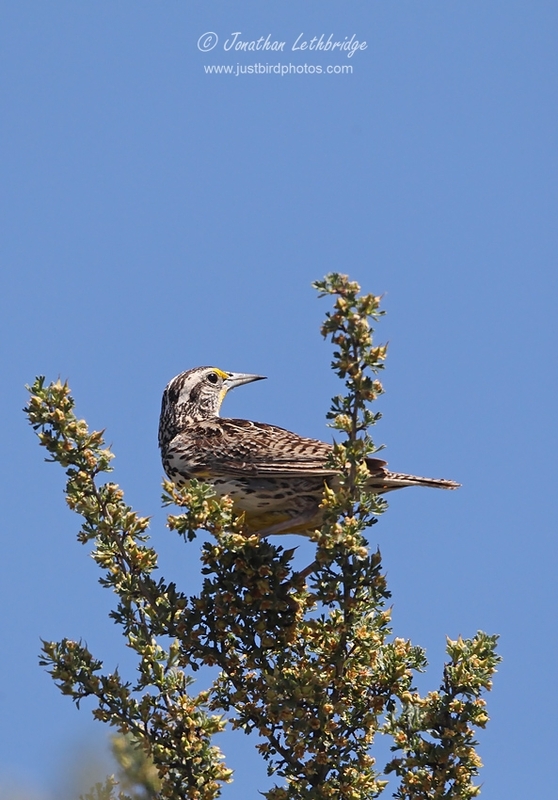 Along the track to the southern end of the lake I found an unexpected Horned Lark, and Sage Thrashers and Western Meadowlark were common. Up at Moses Lake I finally found some much closer Grebes, and to my delight what I had taken at range to be a pair turned out to be a Western and Clark's side by side, which gave breathtaking scope views for extended study of the differences between them. I also found my first Ring-billed Gull here even though there had probably been quite a few on Goose Island. I crossed the mountains at about 9.30pm, reached the border just after midnight, and made it to my hotel by half past one in the morning. I had to drive through the centre of town which was absolutely buzzing and full of young people out having a great time. Much as the thought of a nice cold beer appealed, I was totally done in so I went to bed immediately. Yet another early start was surely out of the question. Does Snuffi come everywhere? Yes. 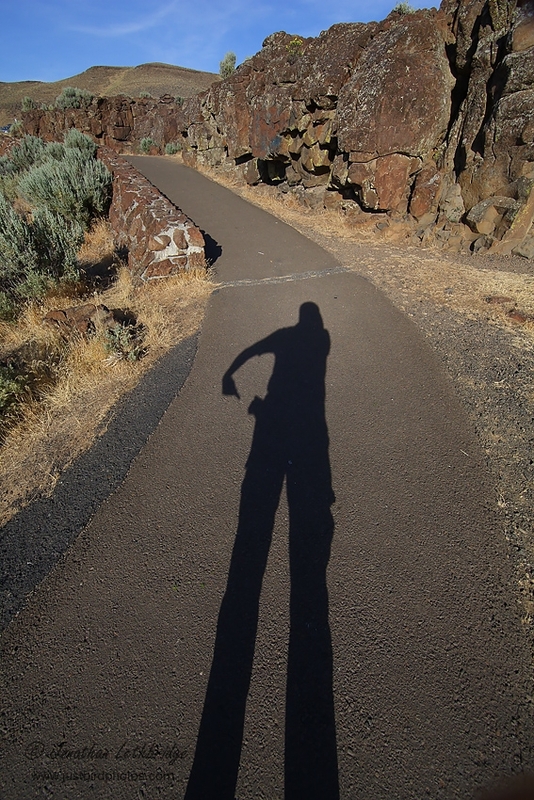 Another monstrously early start saw me at the foot of a huge cliff next to the Columbia River waiting for the sun to warm it up. 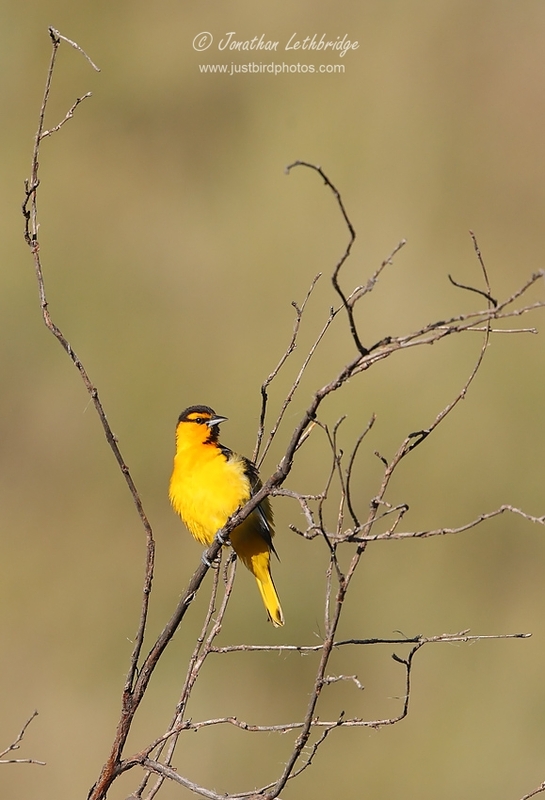 As it did so the canyon awoke, with the amazing and varied sounds of Yellow-breasted Chat, singing Lazuli Bunting, Say's Phoebe and high above, White-throated Swifts wheeling through the air. 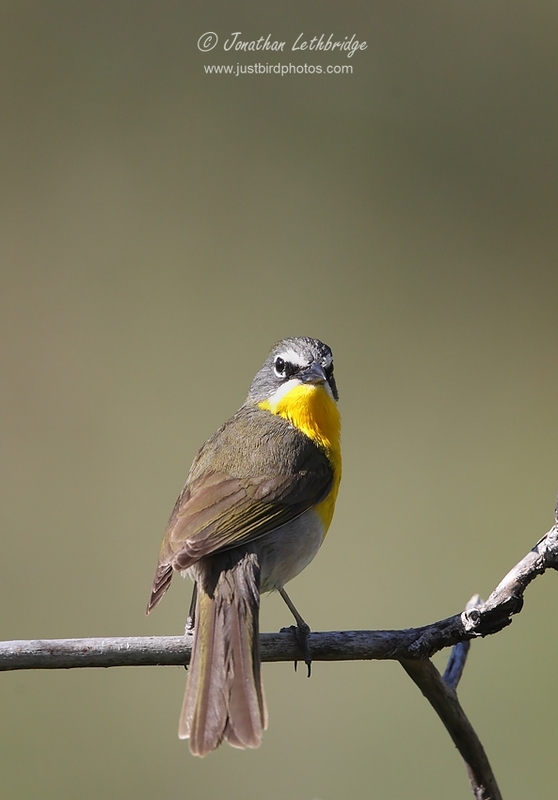 Violet-green Swallows were found lower down, and family parties of Black-billed Magpies worked their way noisily through the base of the canyon. I had a feeling that this was going to be a good day - the Lazuli Bunting perched right up for superb scope views. I moved further up the canyon after I had my fill here, encountering loads of California Quail on the road, and my first Bullock's Oriole of the trip. 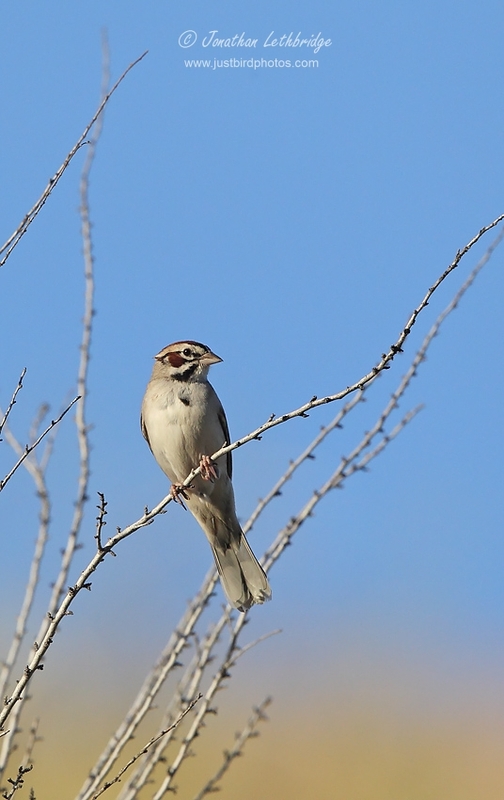 The canyon widens out as you ascend, with some decent meadows that held quite a few sparrows, including Lark Sparrow which I got some excellent views of. 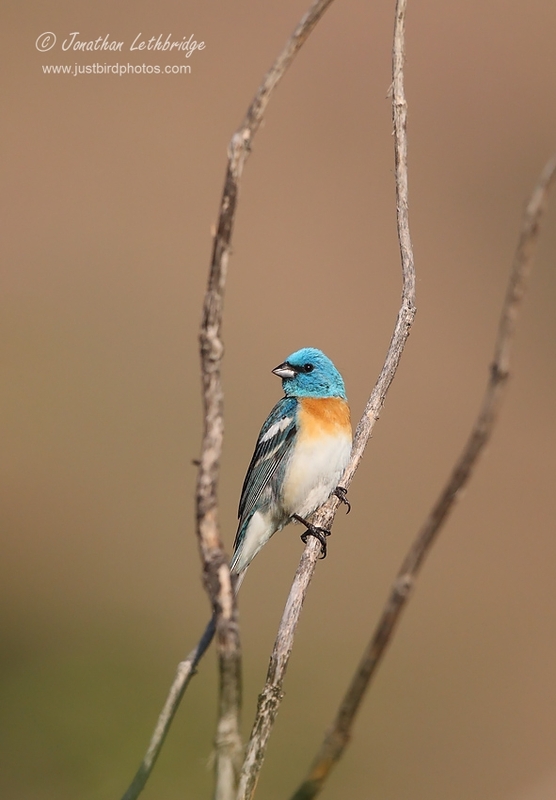 Lazuli Buntings continued to be common, as were Yellow-breasted Chats, and I saw my first American Kestrels. I stopped to chat to a friendly local who was up collecting spent cartridges left over from the frequent bouts of firing guns for no reason, and picked up Chukar Partridge (introduced) as well as a pair of soaring Golden Eagles. This place was all I had read. After I had left the meadows behind and moved into Aspen habitat with stands of pine, so the birds changed. Now instead were both Nashville Warbler and MacGillivray's Warbler, the latter proving very difficult to get a view of to confirm the eye-ring, but eventually succumbing to much plaintive pishing. 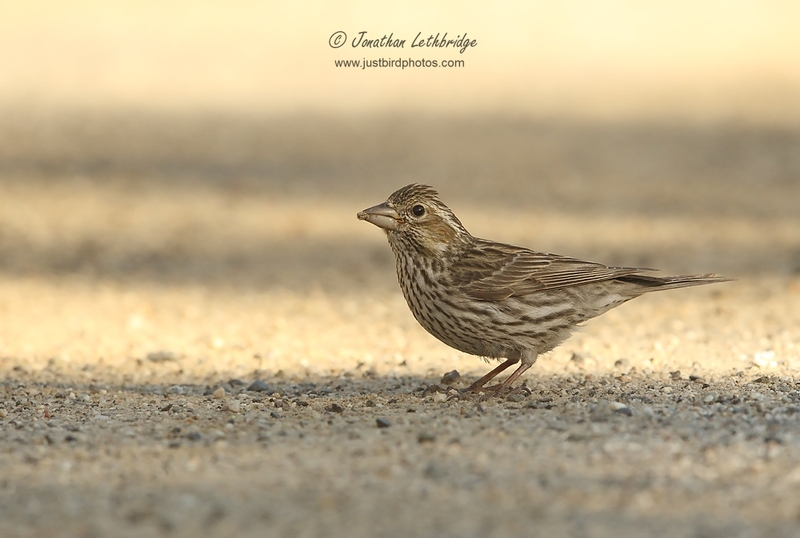 Cassin's and Purple Finches were here too, sometimes feeding on the track with Pine Siskin, Black-headed Grosbeak. In one of the stands a flash of black and white caught my eye, a much-wanted trip bird - White-headed Woodpecker, a pretty eye-catching bird that gave great but brief views out of the car window. Note that as the track goes further up it deteriorates quite a lot, and I was glad of my large SUV in more than a few places, especially the creek you have to ford! Beyond this ford you're more into pine habitat with a bit of mixed understorey, and the chattering and singing of the Chickadees of all three species was heard here, with decent views of all but Mountain which remained higher up the slopes. 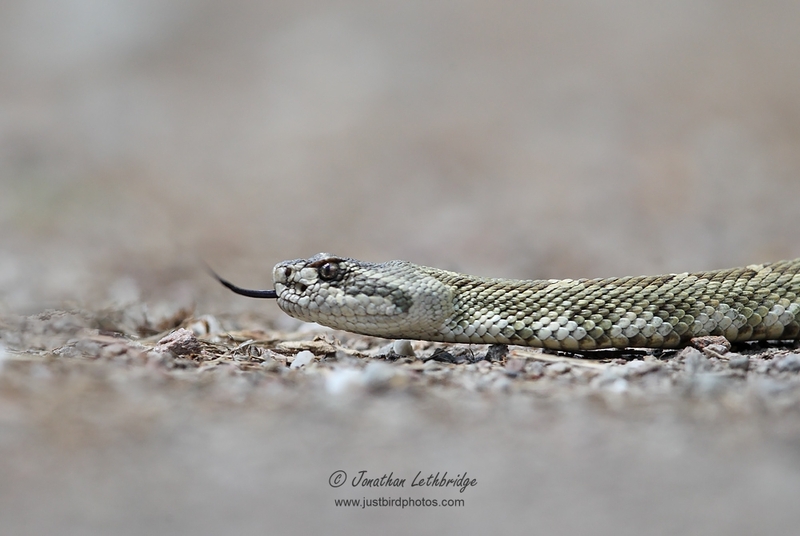 Bird life however was forgotten as I came across a snake crossing the road - a snake with a rather distinctive tail.... Awesome, and a complete surprise, I had no idea Rattlesnakes lived here, and from this point in I was a lot more cautious away from the track. 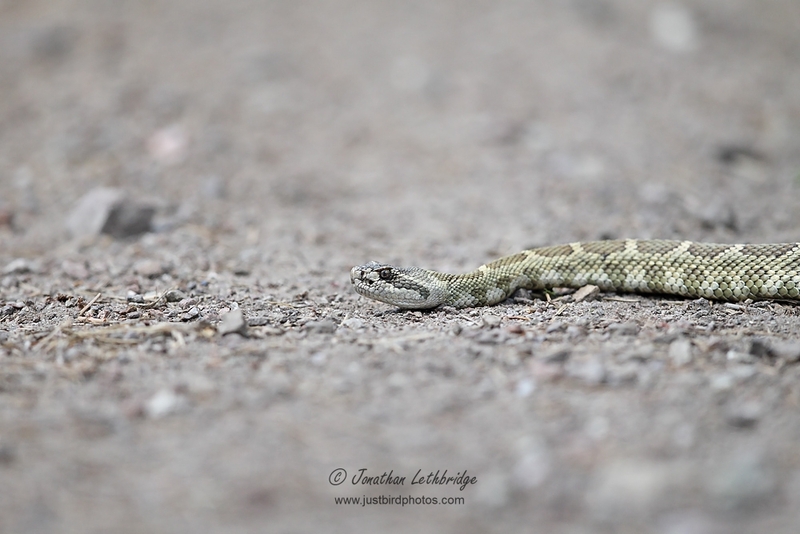 This one was a pretty big one at a shade over three feet long, distinctly green-coloured along the back and very beautiful, and had now stopped in the middle of the road, perhaps to pick up some heat. Naturally I observed it only from the car. Hah, did I hell! This was something I really wanted a photo of so I very cautiously stepped out, lay flat on the ground, and started a slow shuffle forwards. The snake didn't move, didn't curl up, didn't rattle - all good signs! 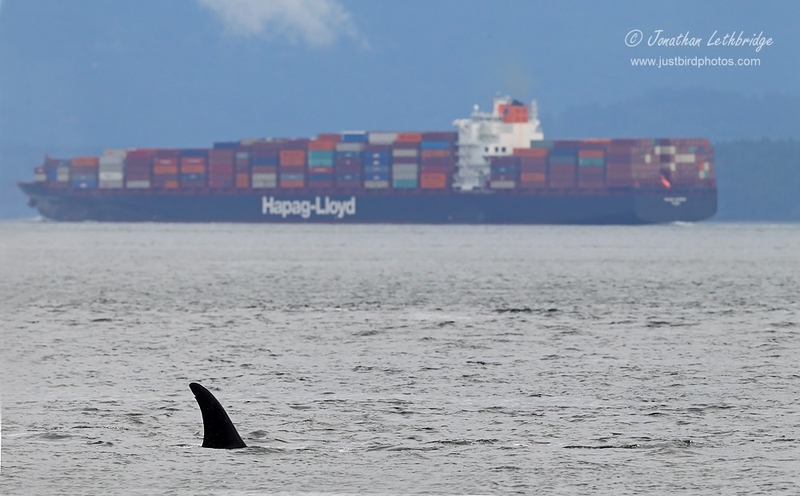 Not sure quite how close I approached, but it was a very exciting moment that seemed to last a long time, and was up there with the Orcas. 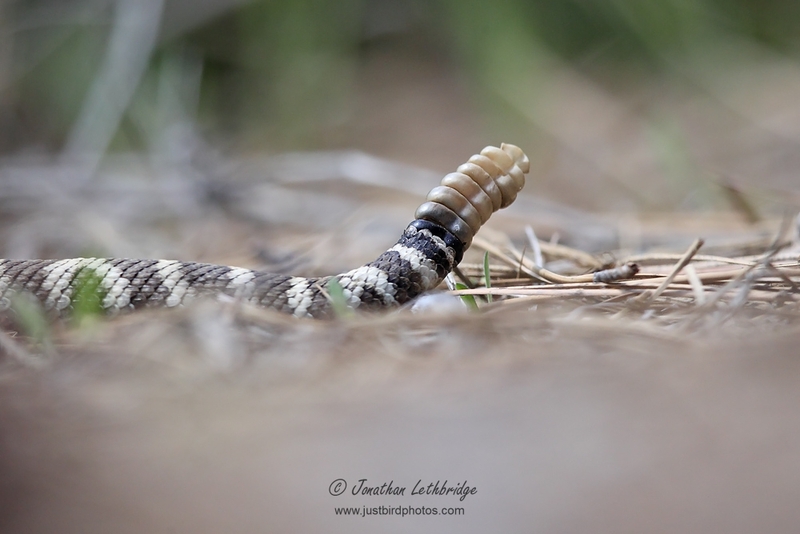 As I lay there with my lens outstretched the snake carried on its way, slipping silently into the brush and disappearing. I had now reached almost the top of the canyon and it was lunchtime. I didn't have any lunch and was out of water, so I quickly drove over the top and back down Nahahum Road, which is paved and leads down to Cashmere which is on the I-97 and close to Leavenworth. After a pit stop I retraced my steps from yesterday south along the I-97 back towards Ellensburg, turning off east at Camas Creek Road. Once past the small number of houses I was once again in terrific birding habitat, and picked up a flock of Evening Grosbeaks feeding on the roadside, and a very vocal Red-breasted Nuthatch. 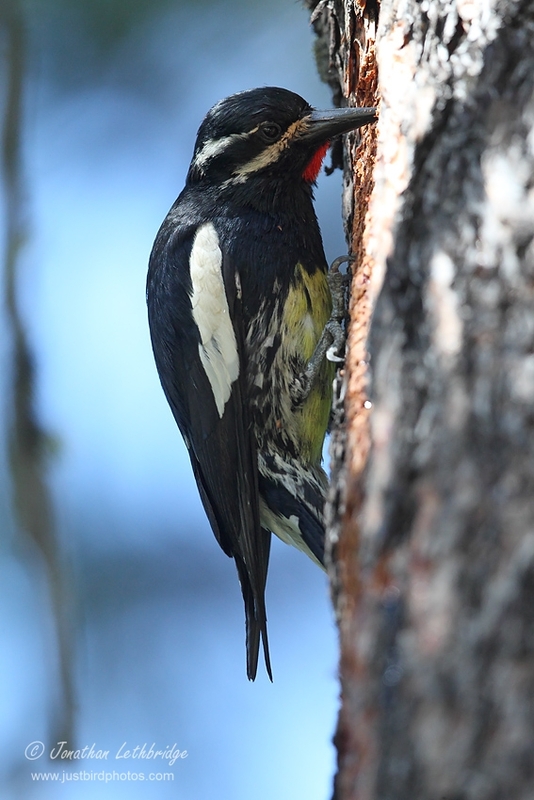 Further on up I found another prized bird, Williamson's Sapsucker, feeding on what must have been a regular tree. 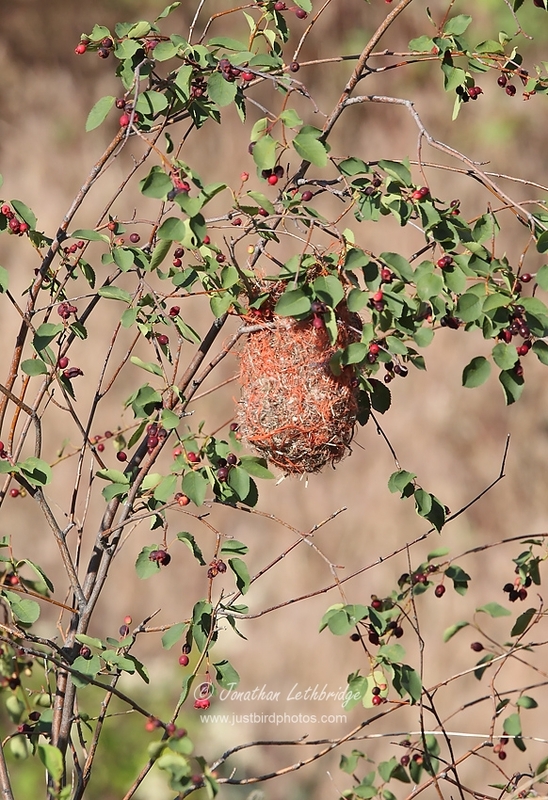 Both the male and female came into this tree repeatedly, so a nesthole must have been nearby. The bare bark area was unfortunately quite high up, so whilst the views were brilliant the angle didn't work for the kind of photo I wanted. I worked my way back down this road and then birded Peshastin Creek which follows the main road back down towards Leavenworth. Being a Friday afternoon, it was very busy with tons of city dwellers heading into the hills for a weekend of the great outdoors, but I nonetheless enjoyed excellent views of a female Harlequin with six ducklings, a Spotted Sandpiper working the stream edge, and another target bird, American Dipper. This latter bird I must have scoped for a good half an hour, and at one point it miscalculated and slipped off the rock in surprise, only to emerge with a juicy larva. Swakane canyon had been so good during the morning that I gave it another go later afternoon, hoping that I might get some photos as the heat declined. 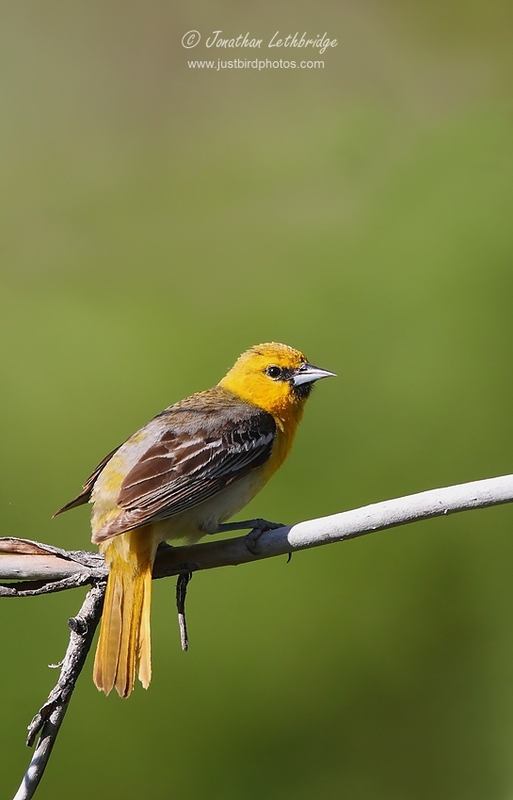 This didn't really work, but I picked up some new birds as I ascended the canyon, including Western Kingbird and Cassin's Vireo. I also finally heard Canyon Wren singing away, but although I pinned it down to what I felt must be a relatively small area of rocky scrub, I simply couldn't see it. All in all a wonderful day, topped off with a surf and turf dinner in Wenatchee, my base for the night. 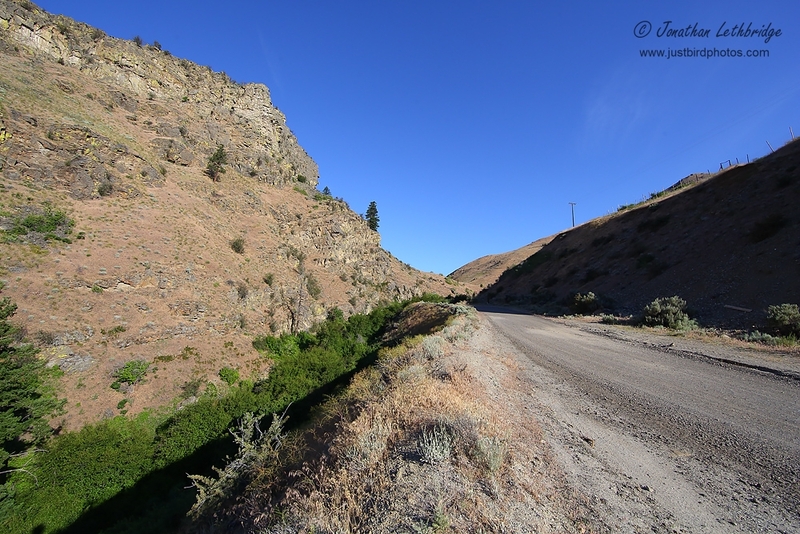 Day 4 – I-90 east to Ellensburg via Lake Sammanish, Denny Creek, Roslyn and Cle Elum. Sagebrush south of Ellensburg, then I-97 to Leavenworth via Bettas Prairie. I couldn't wait to leave Tacoma and was on the road by 4.30am. Holiday? What holiday! First stop Lake Sammanish State Park where I spent far too long getting confused by Spotted Towee trills, but also saw my first Vaux's Swift high over the lake. Plenty of bird activity, but I couldn't really nail anything and so continued up the I-90 towards Snoqualmie Pass. My next stop was Denny Creek Campground, set between the two carriageways of the I-90, so close in places you could hear the roar of the traffic as it headed up the mountain. 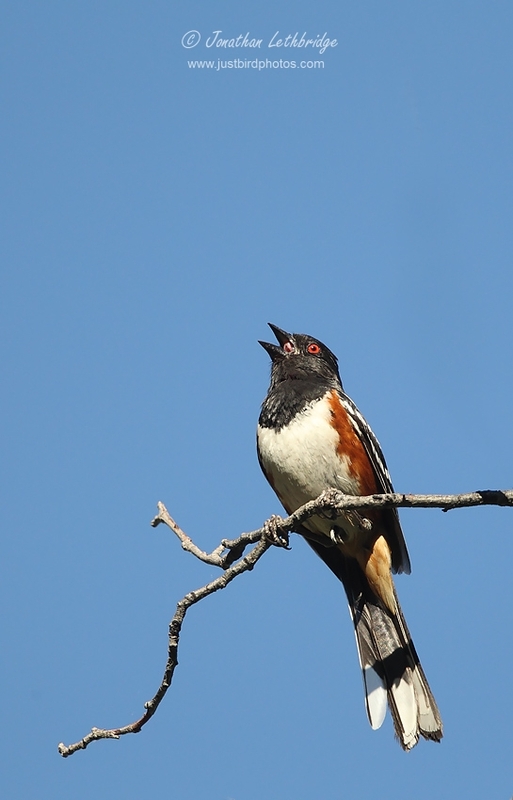 As I stepped out of the car I could hear Varied Thrush everywhere, but first of all a song I couldn't place? I eventually traced it to a Hermit Thrush singing atop a broken stump, and then the moment I had been waiting for happened. I rounded a trunk on the path and a bird flew up silently. I watched intently, it had been orange, hadn't it? 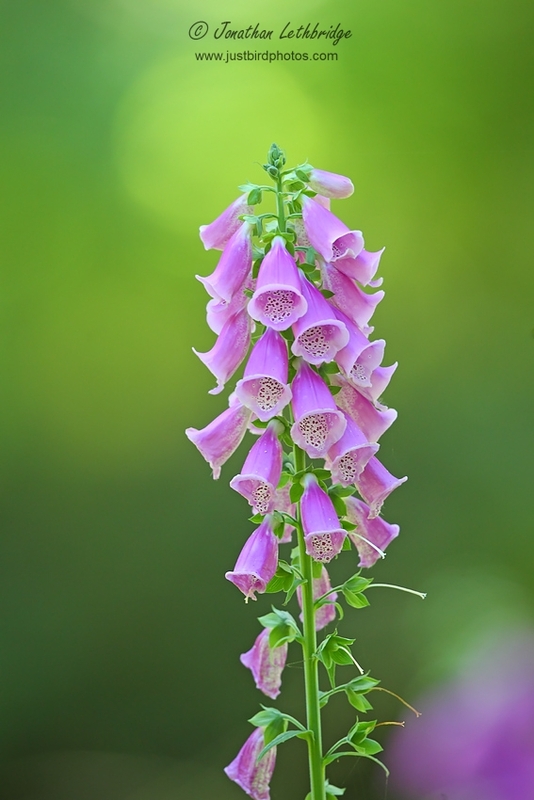 It had gone up, but beyond that no movement – so it must still be there. 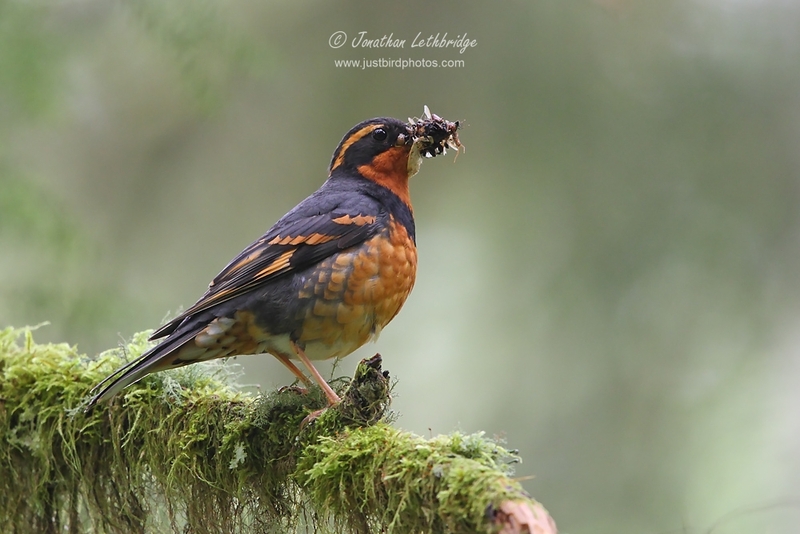 Cautiously I rounded the trunk, and looked up....... and there it was – an adult Varied Thrush with a beak full of food, no doubt a brood nearby. It remained there, stock still and just looking down at me, giving me time to take a few speculative photos of it in the darkness of the understory. At 1/40s with the 500mm and converter, and with my trusty monopod usefully in the car I cannot begin to say quite how delighted I am with the results, and once I saw that I had somehow got a useable image I put the camera down on the forest floor and continued to study the bird through my bins for the most unbelievable views imaginable. How on earth I can be so lucky never ceases to surprise me. What a stunner, lovely oranges and blacks seemingly totally at contrast with the mesmerising greens of the pacific slope. After what seemed like forever, I decided I might as well try for a different angle, and just like that the bird vanished. Silently, the forest came back alive. There again was the chatter of the Winter Wren, singing from its high perch, the soft wheets of Flycatchers, various other songs and calls I didn't yet recognise, and of course the soft and plaintive echoes of the Varied Thrushes. A couple of walkers joined me on the track, probably wondering what had caused my enraptured state. I tried to explain, but although they were local they had never heard of the bird so I just told them to listen out – the very next bird call was of course Varied Thrush, and then I showed them the back of the camera. 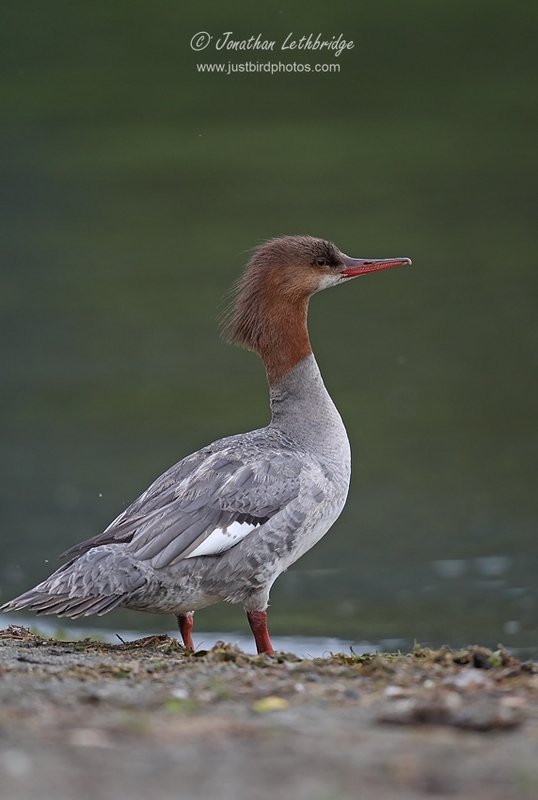 I guess that this is a species which just doesn't figure in the normal list of birds people might have heard of, and they go years hearing it but never knowing quite how special it is up close. Buoyed by this experience I continued up the trail for another few hundred meters, surrounded by bird song and smiling all the way. 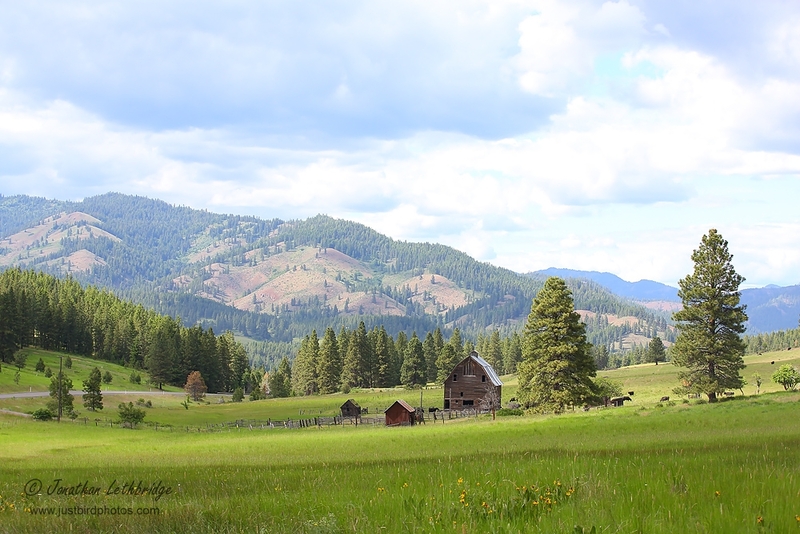 My next stop was Rosyln ad Cle Elum, side by side once you have been up and over the pass. I birded a number of small ponds here, starting with one quite close to the Freeway. 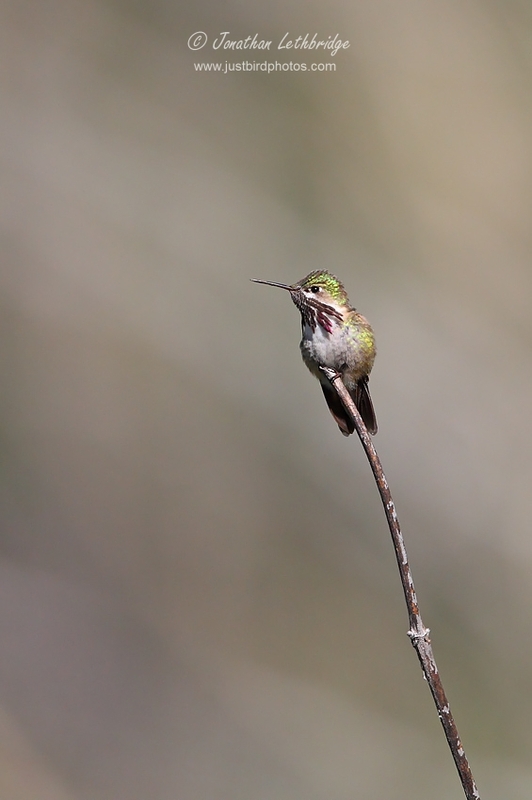 Mid-morning they were alive with birds – Orange-crowned Warbler, Evening Grosbeaks and Cedar Waxwings all showed well, and a tiny Rufous Hummingbird came in and hovered in front of my face wondering what I was all about. I walked the Coal Mine Trail for a while, starting just west of Cle Elum, but things were getting quieter now as the day heated up. And boy what a change from the dank pacific forests, an instantly noticeable difference in the weather with clear blue skies and temperatures in the high 20s by mid-morning. I added Steller's Jay here, as well as getting my first views of Warbling Vireo for a few years. 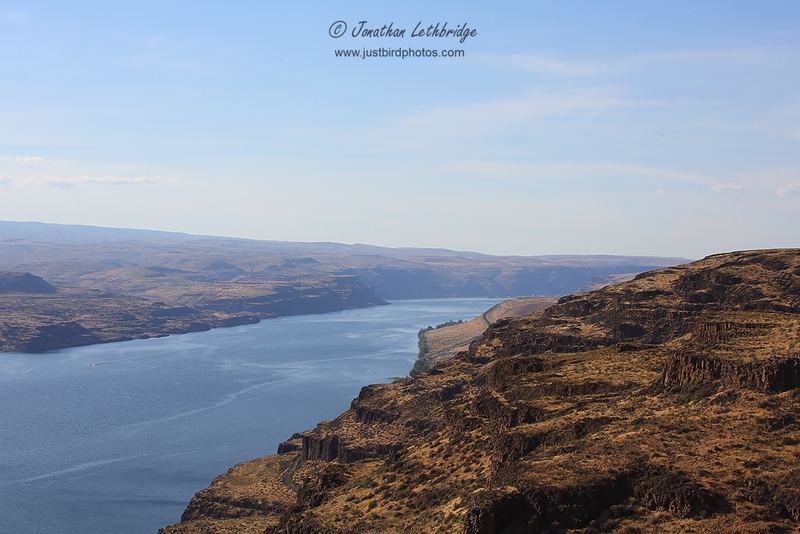 As ever I was behind schedule, and so retraced my steps to the car and carried on along the I-90, heading south once I reached Ellensburg on Umptanum Road which led through farmland and up into my first sagebrush habitat. Success immediately with my first Black-billed Magpies of the trip, as well as numerous Red-winged Blackbirds, innumerable Brewer's Blackbirds, and a hunting Swainson's Hawk on the dead-straight road. There was also an occupied Osprey nest here. As this road began to climb, so the habitat gradually changed as irrigation was left behind. 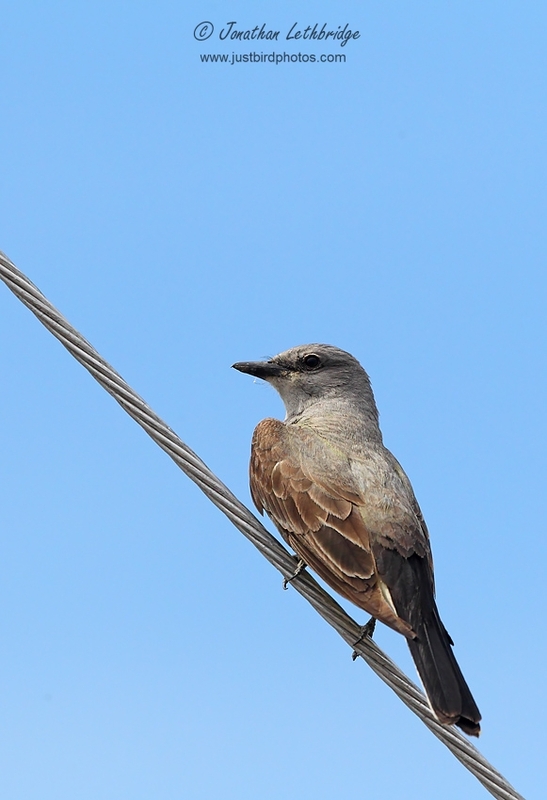 One of the first birds seen on the way up was another new one, Say's Phoebe singing on a wire. 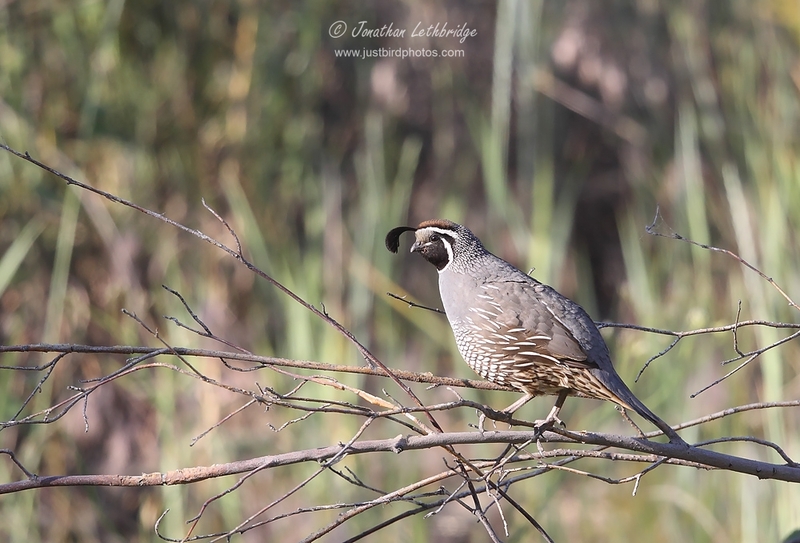 A pair of House Wrens foraged on the side of the road, and some California Quail were on a fenceline. 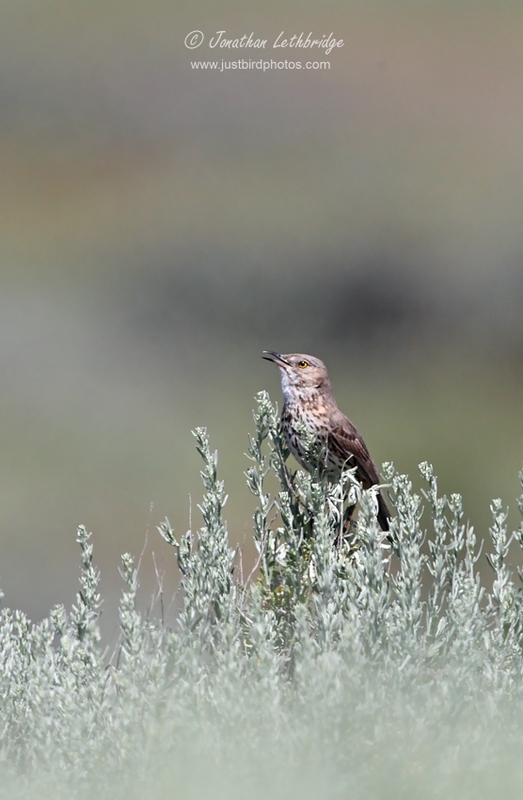 Now in full sagebrush country, I wasn't surprised to find my first Western Meadowlark singing away, and before long I had set eyes on a couple of Sage Thrasher. Gradually the terrain flattened out, and I reached the first nestboxes, something I had read of in a few trip reports. 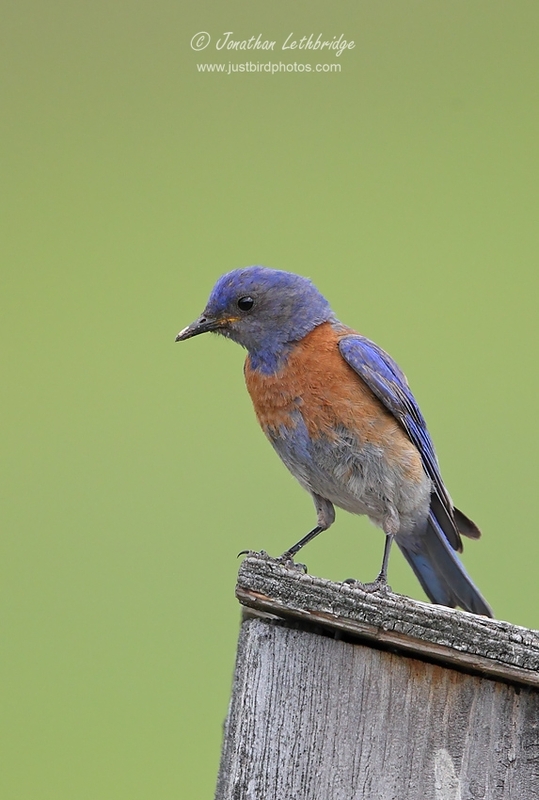 As is the case for their eastern counterparts, Bluebirds are a species that are frequently helped by local Audubon chapters, and the group operating here have erected nestboxes all along this stretch of road. So it was the Western, and even better, Mountain Bluebird fell very easily and I got some fantastic views. 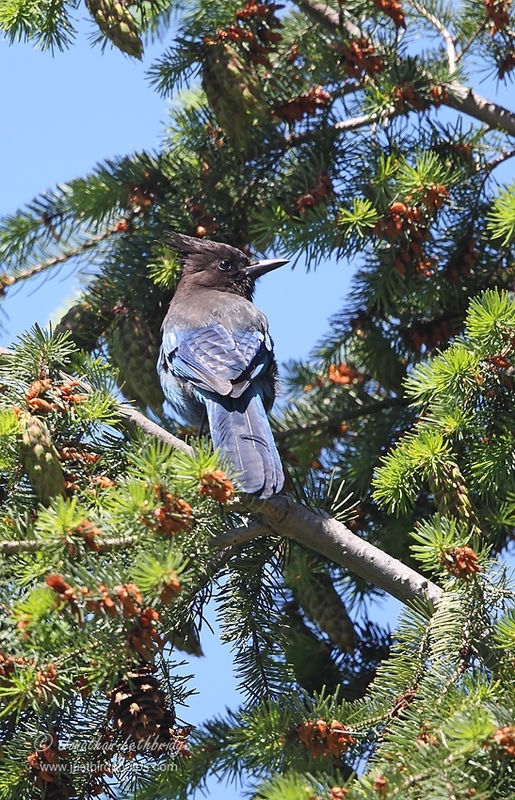 Essentially until you have seen Mountain Bluebird you haven't lived. With the temperature in the low thirties, any kind of serious photography was simply out of the question so I just enjoyed monumental scope views. I got even better views of this species along Bettas Farm Road, which is a convenient loop on the I-97 as it heads north towards Leavenworth from Ellensburg. This road had a frankly excellent series of nest boxes occupied by Western Bluebird, and was pretty quiet allowing me to position the car as a mobile hide for some decent photo opportunities. After a decent session I got back on the main road and went up over the pass and down to Leavenworth. A quick jaunt along Icicle Canyon as the sun was setting but the birding was really quiet and I called it a day and went to find some dinner. The following day was shaping up to be another epic. 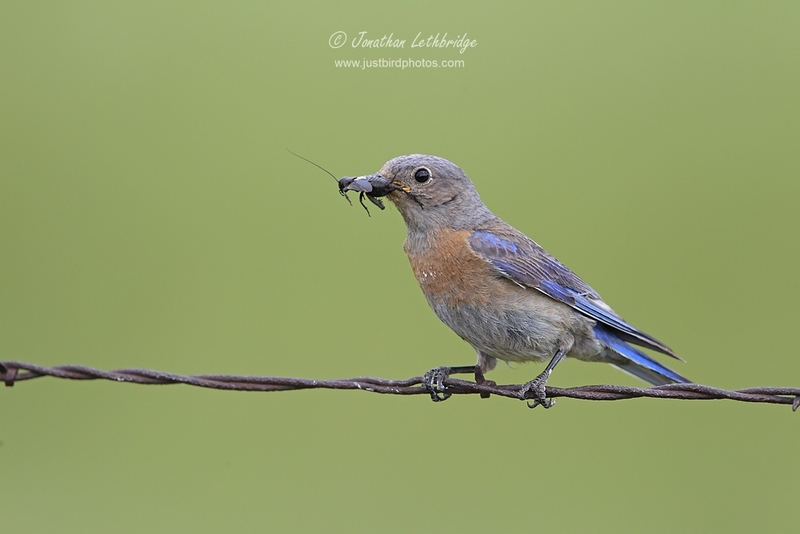 Western Bluebird. 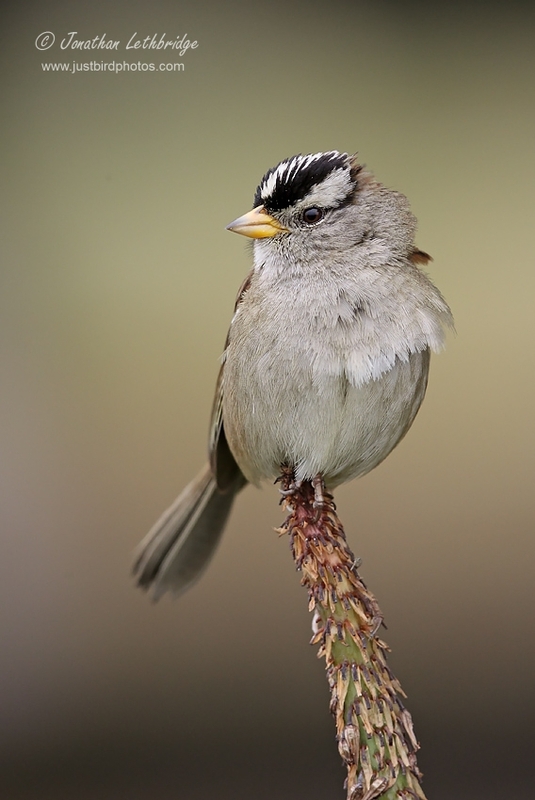 Male, top, with female below. 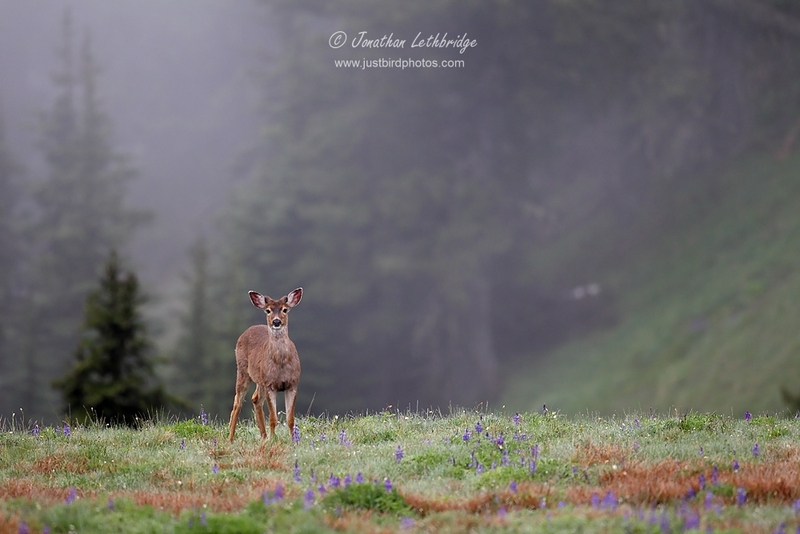 Ever since Rich B had told me about Hurricane Ridge I'd been looking forward to this morning of birding. The road that starts at Port Angeles and winds its way up into the Olympic Mountains for roughly 5000ft of ascent over 20 miles. To make the most of it and be first up the road I was up at first light, only to discover it was still cloudy and drizzly. No choice, I was still going for it, but the weather gods smiled and after I passed 2000ft or so it thinned out and eventually stopped altogether. 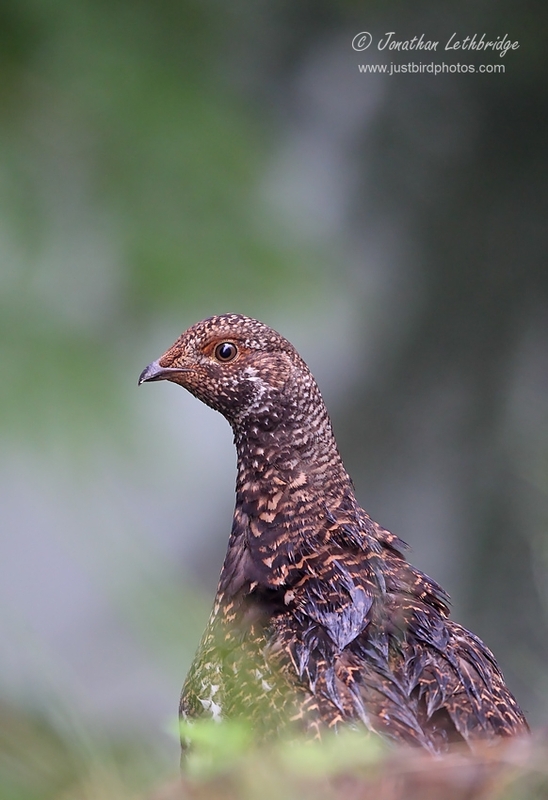 The Varied Thrushes continued their sad calls, but the first bird I actually set eyes on was also a much-wanted target – Sooty Grouse. A female bird was unconcernedly crossing the road in front of me, so I pulled over a got a grab shot through the window. I then tried my luck carefully getting out of the car and amazingly the bird didn't more. This early in the morning I had no compunction not to crawl along the tarmac, there would be nobody else coming along the road, so I shinnied my way as close as I could. 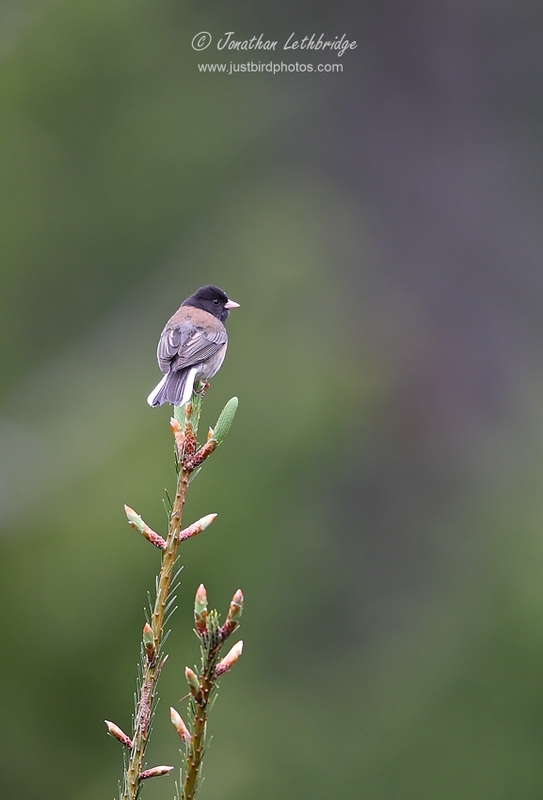 Continuing up the road I frequently encountered Juncos, and a Hammond's Flycatcher sang from atop a tall dead pine. 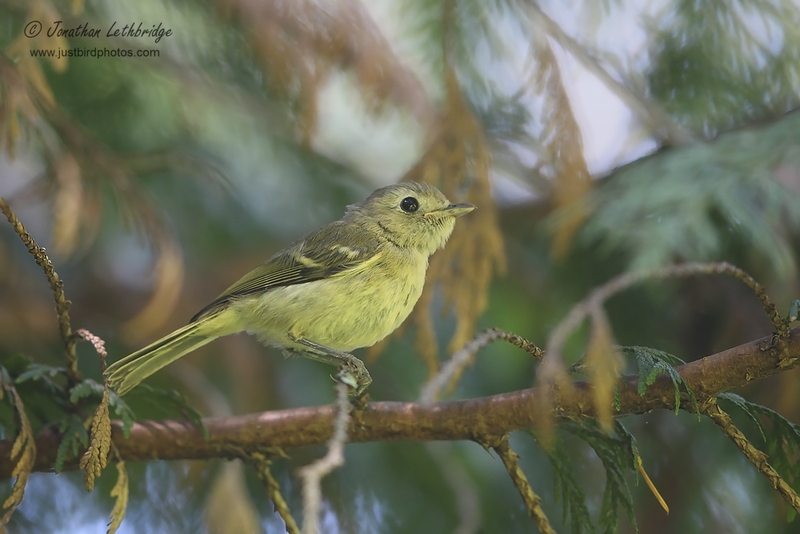 As I reached higher elevations Olive-sided Flycatchers started to be seen, and at the very top of the ridge stunning male Yellow-rumped Warblers sang from small firs. Still no Varied Thrush, although I seemed to be closer up the top. I nearly descended a mountain meadow to where the calls were coming from, but it was extremely steep and I knew that I had a lot of ground to cover that day. I had one more chance as I crossed east over the Cascades the following day, and crossed my fingers that my luck would improve. 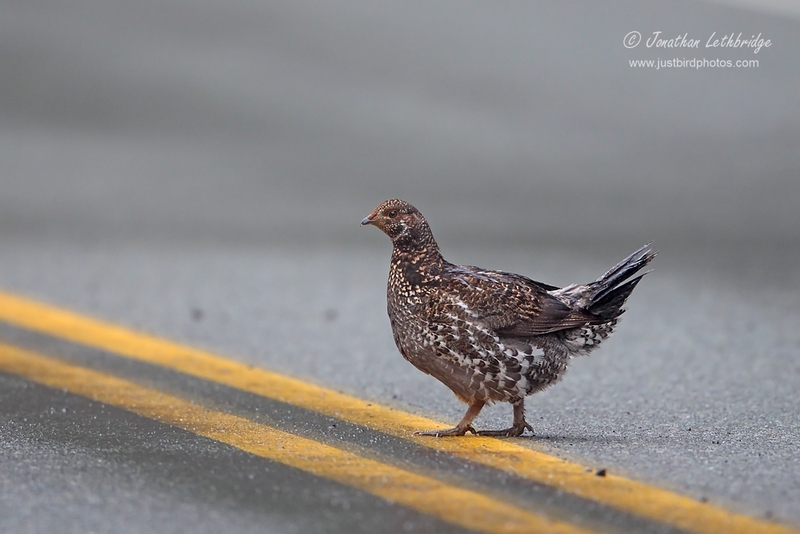 As I came down the ridge again I came across a male Sooty Grouse, but the weather was getting worse, and it wasn't far down the road before I became enveloped in mist and fog, which lasted all the way to sea level. 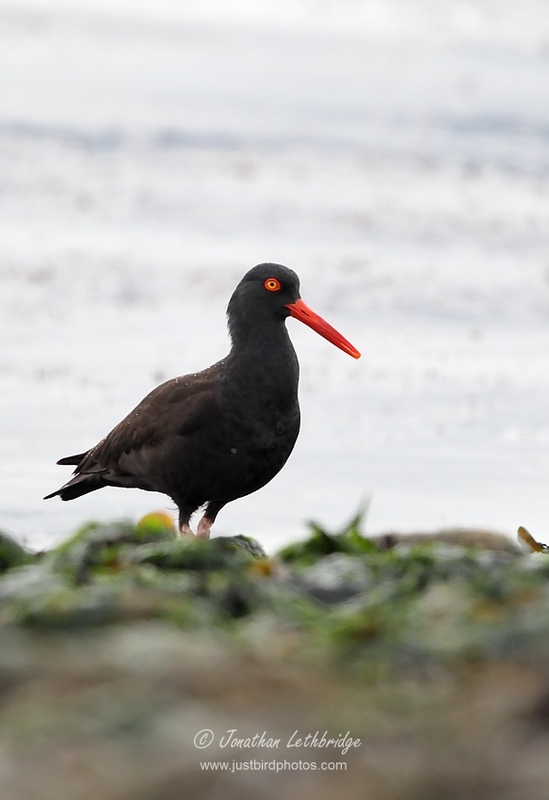 I birded the spit at Ediz Hook, checking the log rafts and the inland beaches, but barring a single Black Oystercatcher and a few Harlequins it was very quiet, so I pushed west, anticlockwise around the Olympic Peninsula. 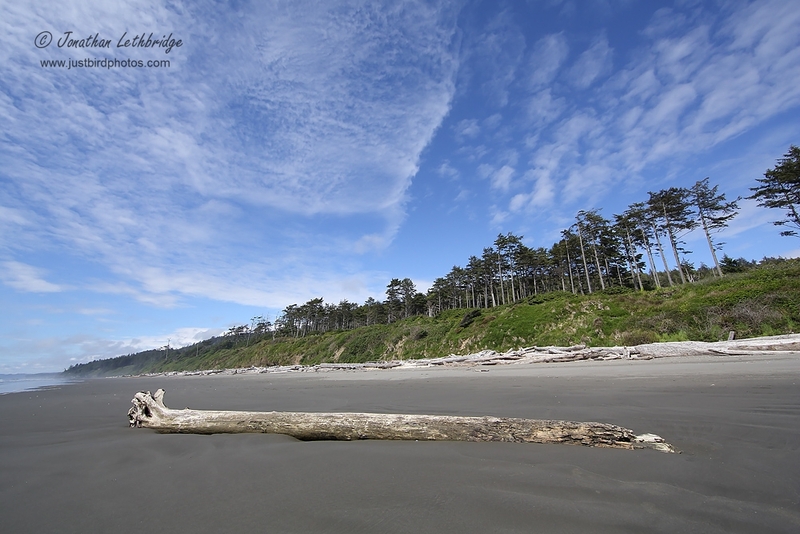 My stops were frequent, the scenery was stunning beyond belief, and so I didn't get to La Push until mid-afternoon. 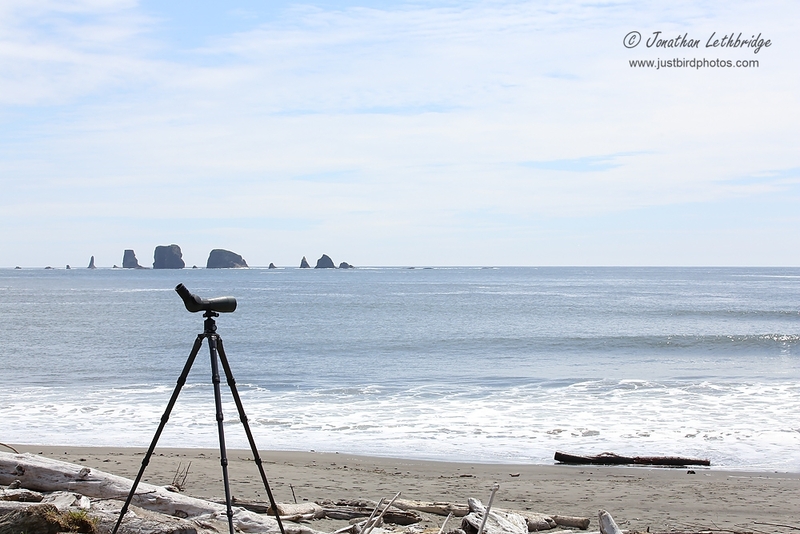 This was a fabulous location, my first view for many years of the Pacific Ocean – 13 years to be precise. The sun came out, and without the dominating effect of the mountains the skies were blue and I birded in shirt sleeves for the first time.The Ocean was wild, brutes of Gulls zinging along, Northwestern Crows milling around, and out to sea, on the stacks, Tufted Puffins, my target after failing at Diamond Point. The views were poor if I'm honest, but a tick is a tick as they say. 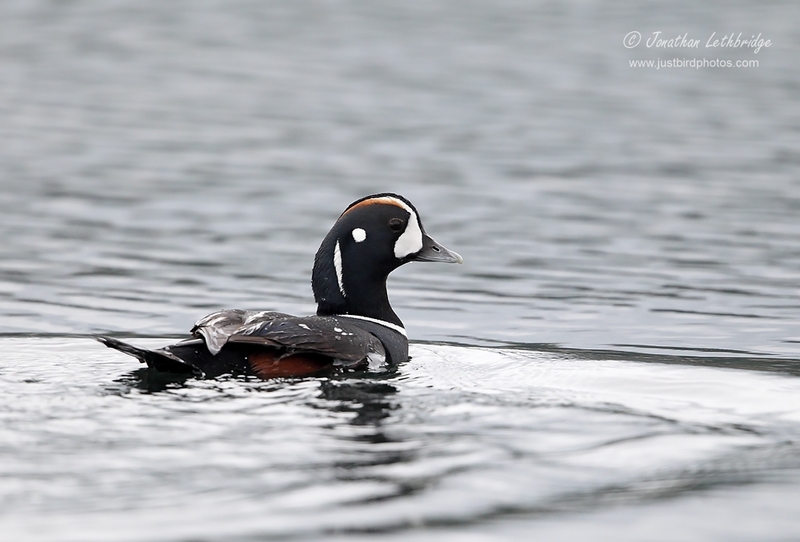 I also picked up my first Surf Scoters, as well as Red-necked Grebe and Red-breasted Merganser. A fabulous place all in all, Bald Eagles perched like sentinels on the breakwater, and lots of activity on the sea. But as always I had to keep moving on, I needed to be in Tacoma, and at La Push, you're about as far as you can be in either direction on the 101. 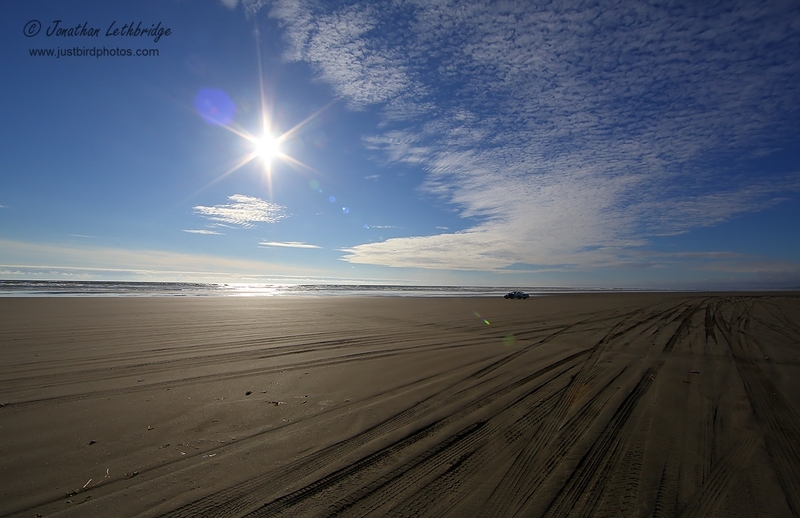 I carried on south, and spent the late afternoon at Ocean Shores. Here you could drive your car right onto the vast sandy beach. Numerous people had done this, and were chilling out in anticipation of a fabulous sunset. 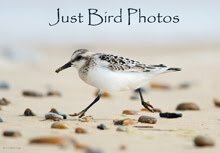 They probably do this every night, but I was more interested in the Gulls and the small flocks of Sanderling, many in decent plumage of the sort you never see in the UK. I spent a fun couple of hours here soaking the landscape in, but still managed to hit Tacoma by 10pm. Dinner in a Hooters and a dreadful Days Inn were the perfect antidote to an otherwise fabulous day. 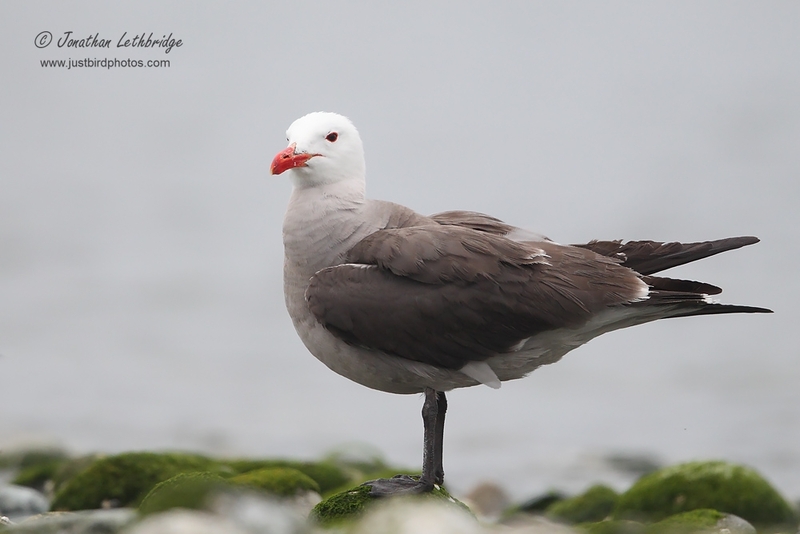 The boat trip didn't depart until 10am, but it's light enough to bird at 5am, so it was that very early on Tuesday morning I found myself at Diamond Point pond, east of Port Angeles, looking for new birds. Unfortunately the weather had other ideas, with the famed Pacific Northwest marine layer sitting thick and heavy. 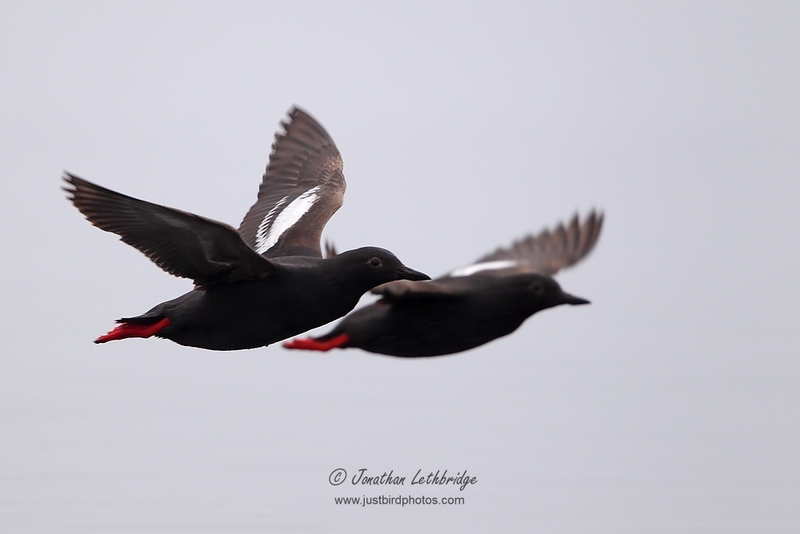 So the Tufted Puffins that might have been drifting around Protection Island remained unseen, with only the occasional Pigeon Guillemot or Harelquin appearing out of the mist. I added Eared Grebe at the limits of what was visible, and Ruddy Duck on the pond, but overall it was rather dire, and the weather didn't improve as I arrived in Port Townsend, with heavy rain now falling. The boat however was going anyway, so I grabbed a coffee and prepared for the worst – a dismal five hours of getting soaked and seeing nothing. It turned out better than that, and as we zipped across the Juan de Fuca Strait it appeared to be easing. Boats operate from half a dozen ports around Puget Sound, from Vancouver downwards, and all of them cooperate by sharing news of sightings. 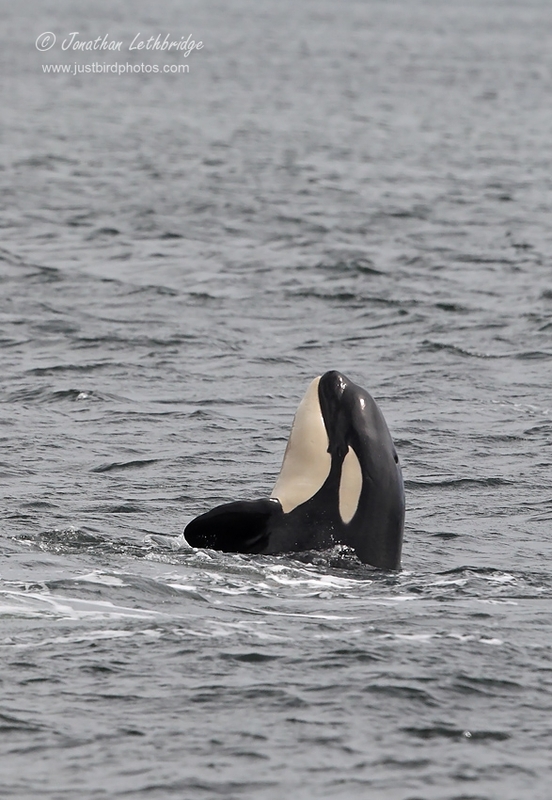 So it was that on this day a pod of transient Orcas had been seen in Canadian waters, and in the absence of sightings further south that's where we headed. This meant a long trip, but with clearer skies I spent the whole time birding – my own private pelagic whilst all the other passengers huddled inside with coffee and cake. 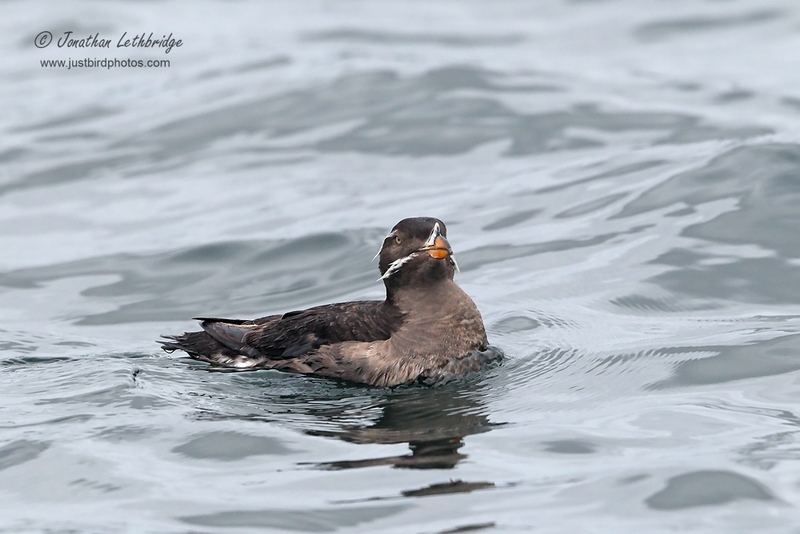 There wasn't a massive amount of variety, with Rhinocerous Auklet dominating heavily, but I added Common Loon and Marbled Murrulet on the trip out. About two hours later we started to converge on a number of other boats, and it wasn't too long afterwards that I was watching Killer Whales. 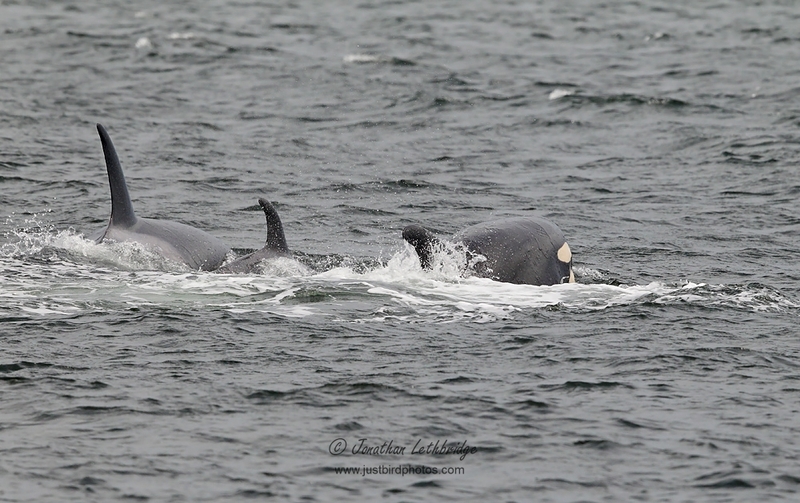 The pod numbered around six or seven, including at least one calf. 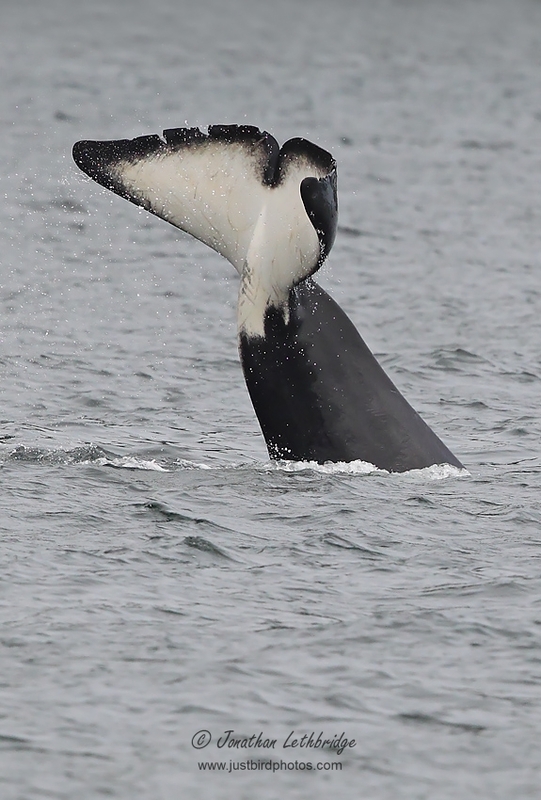 I've wanted to see Killer Whales for ages, and keep on hoping that I'll get lucky on Shetland on one of my trips up there, but so far it hasn't happened. No need now though, well and truly done! The calf leapt fully out of the water at one stage, but I wasn't quick enough to grab a photo, but I did manage one of its head a little later. After half an hour of slowly circling to maintain our distance, we reluctantly started the two hour trip back to base – not the best ratio of boat trip to seeing Whales, but I could have missed out, and although I had a reserve day built in I didn't really want to have to take it up. 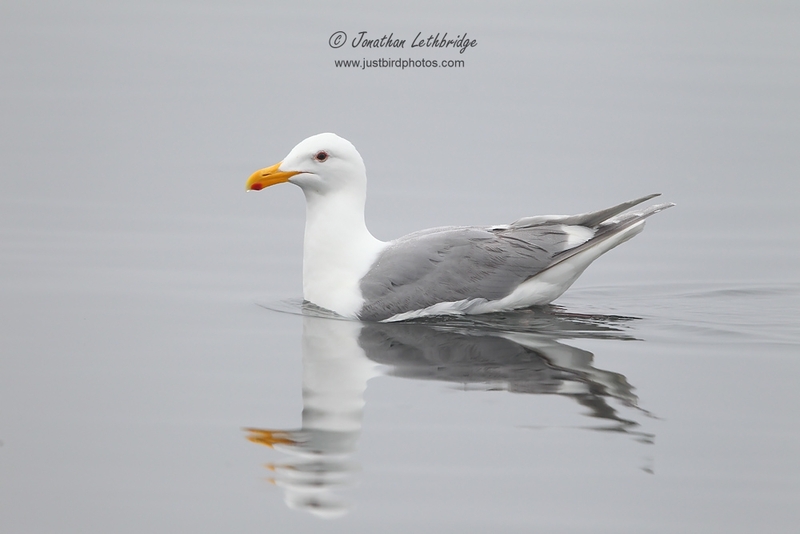 Once back on land I went and took a few photos of some Gulls I had seen as the boat arrived in the harbour, thinking that distantly some had looked rather dark. 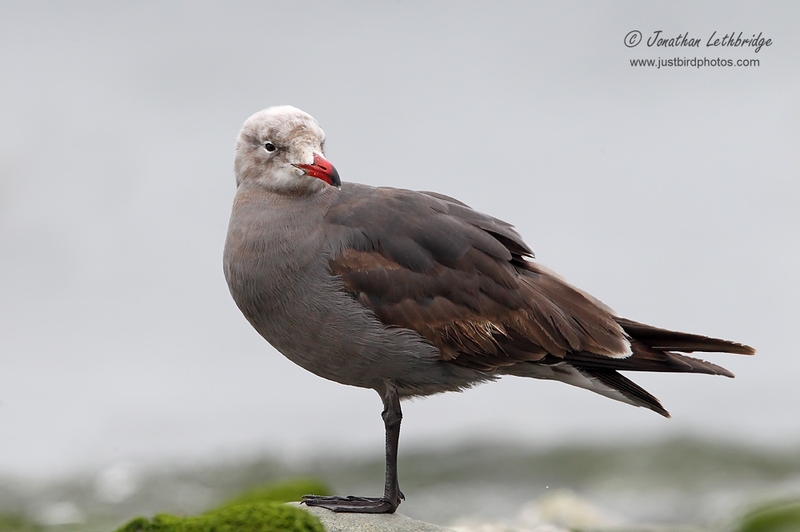 Heerman's Gull, I should have guessed, and as Gulls go a pretty decent looking bird. 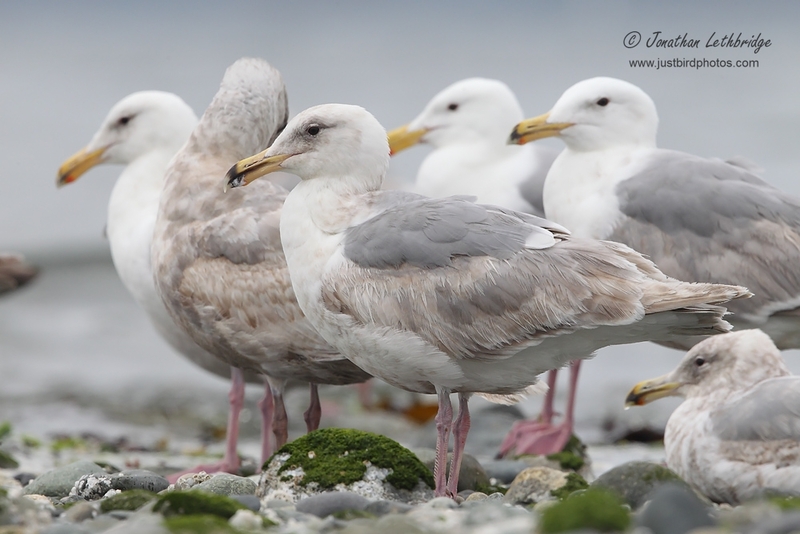 A mixture of adults and second years mixed in with the usual fare of Glaucous-winged and Californian, and they were the only ones I saw on the trip – to be fair I wasn't looking hard. 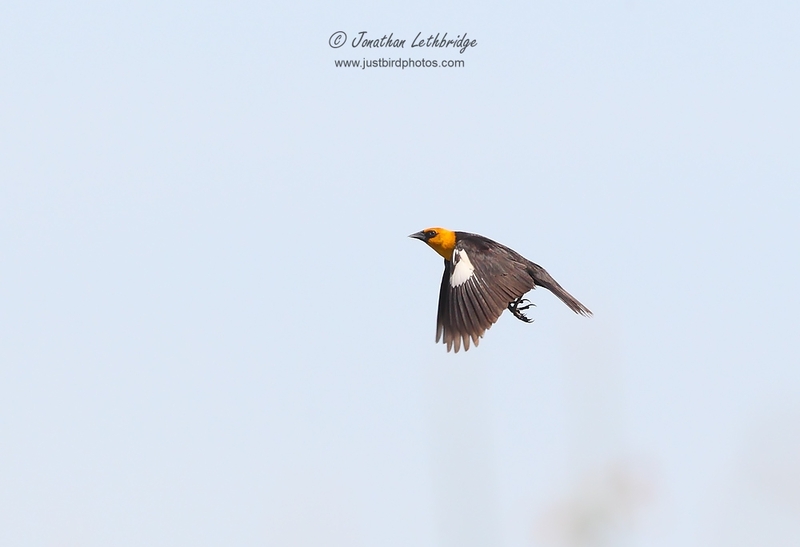 I know some people who would probably miss out on all the decent forest stuff if they came over here, and only look at Gulls – I've done the Varied Thrush so you don't have to lads! Leaving Port Townsend, I moved inland a short distance and started to bird some scrub and lakeshore habitat at Crocker Lake. All sorts of goodies here, with Common Yellowthroat and Palm Warbler mixing it up with Cedar Waxwing and Hairy Woodpecker. I managed to pish in a smart Wilson's Warbler here before slowing driving the length of West Uncas Road, which added Willow Flycatcher, Western Wood Pewee, and Golden-crowned Kinglet. 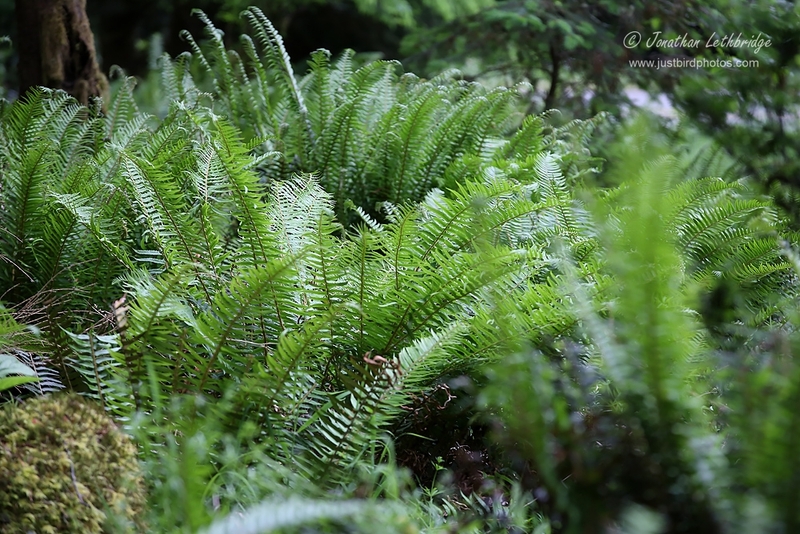 I went back to Port Angeles via Diamond Point again, but the weather on the coast was still lousy and although I could see slightly more there was still no point. Dinner and bed.